So not only was Value Village having a very well advertised 50% off sale that I was completely oblivious to but I actually managed to battle my way through the masses (with the boy in tow) and find these incredibly fantastic items! 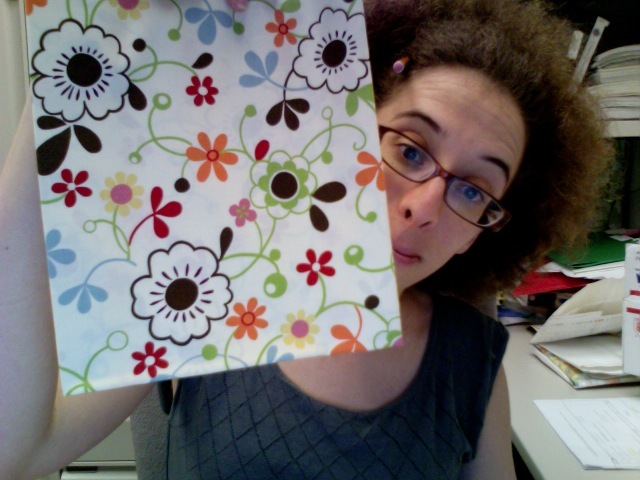 One superfantastic (smallish) piece of flower print and 2 sheets. I am so in love with this stripe sheet I almost hurt when I think about cutting it up but when you pair it with this the hurt subsides immensely. btw – did I mention I only had $5 on my at time of said sale? No? well now you know… and I got change! In case you didn’t follow the link to the pic go here now. seriously. you won’t be disappointed. Second: My friend M totally ROCKS! 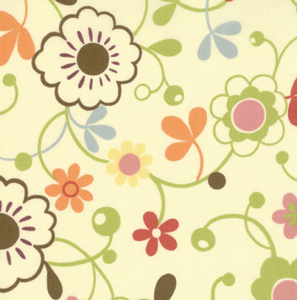 She won a giveaway on SewMamaSew and very generously let me pick a print for myself (cost of the print is slightly foggy to me but we’ll sort it out) and I am so very excited! Still haven’t checked out that link? okay, I’ll just show you! If you are thinking I am nuts and the two are going to clash horribly well I would say that not only are you wrong but also shut up, it’s my blanket! This picture just doesn’t do it justice. The background colour of the fabric is actually white not cream (you can see this if you check the first link to the picture) and the colours of the flowers are going to match spectacularly. seriously, it’s perfect! In my head the blanket is done. I wish it were that easy. Lastly, I finally received a PayPal receipt of payment for this super fantastic hat pattern by Leila & Ben that I cannot wait to make for the boy. Actually I think I may be more excited to go back to the Village to search out some corduroy that I can refashion into the hat- and this time I will take more cash with me – but to know this super cute hat pattern is on its way to me is very exciting! And since I have used up my link quota for the week in this one blog I better get back to work. First of all, I cannot believe I missed that sale. Boo-urns. Of course, I was sick as a dog and so not in a shopping mood, but that doesn’t matter. 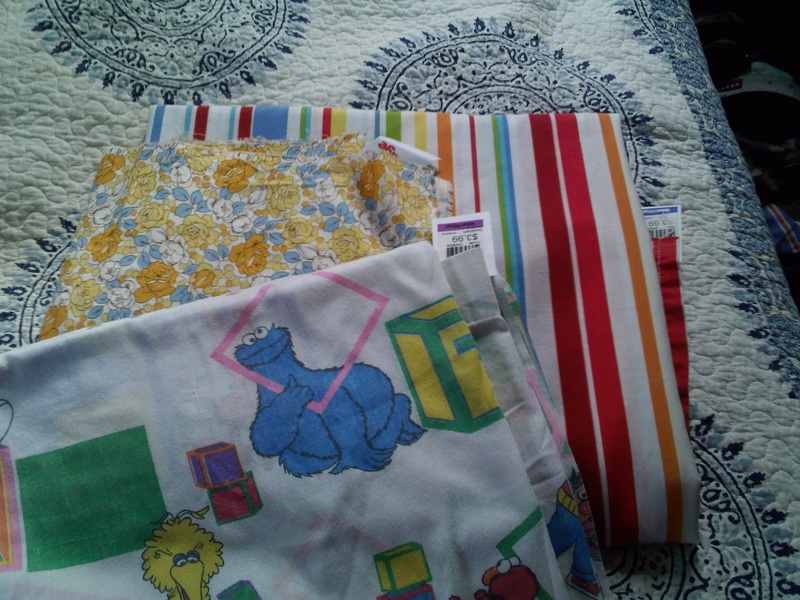 Scores on the fabric, yo! I too have been hunting in the bed linens. I know I’m not supposed to be looking for more stuff, but what if I miss something awesome? The fabric is a present for you, so shut up. Please. How tacky would it be to get free fabric and then CHARGE you for a piece of it? “If you are thinking I am nuts and the two are going to clash horribly well I would say that not only are you wrong but also shut up”, made me laugh out loud at 7:15am in my empty office. « Best dollar store finds ever.